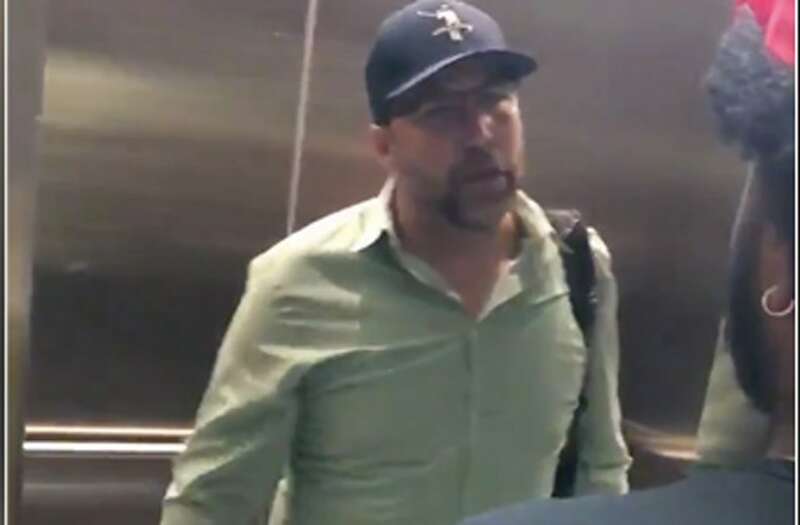 An arrest warrant has been issued for the white man who was seen threatening a group of black college students with a gun in a now-viral video. After consulting with the State Attorney’s Office, officials in Tallahassee, Florida, issued a warrant for Donald Crandall, Jr., on Friday for allegedly violating a state law against improper exhibition of a firearm. "The warrant has been issued at this time, but as of right now he has not been arrested," Officer Damon Miller of the Tallahassee Police Department told ABC News. "I do not know his whereabouts at this time." The warrant is in relation to a Sept. 8 incident in which Crandall attempted to prevent a group of Florida A&M University students from entering a housing complex to visit a friend who lives there. Footage of the tense exchange shared on Twitter by Isaiah Butterfield, one of the students involved, shows Crandall, who is not a resident of the building, confront the group of students and tell them they cannot come inside unless they have a key. After an unnamed white student intervenes, Crandall can be seen entering the building, followed by Butterfield and his friends. When Crandall notices the group followed him in, he becomes more agitated. "Let me be clear, you ain't getting in this elevator," he warns them, shortly before brandishing his weapon. When the students asked Crandall why he brought out his gun, the man looks down as if it was a mistake, apologizes, and places the weapon in his back pocket. Shortly after the clip of the exchange went viral, Crandall was identified by social media users as the general manager of Baymont Inn & Suites Tallahassee Central. On Tuesday, four days after the incident, the hotel released a statement confirming that he was removed from his position.